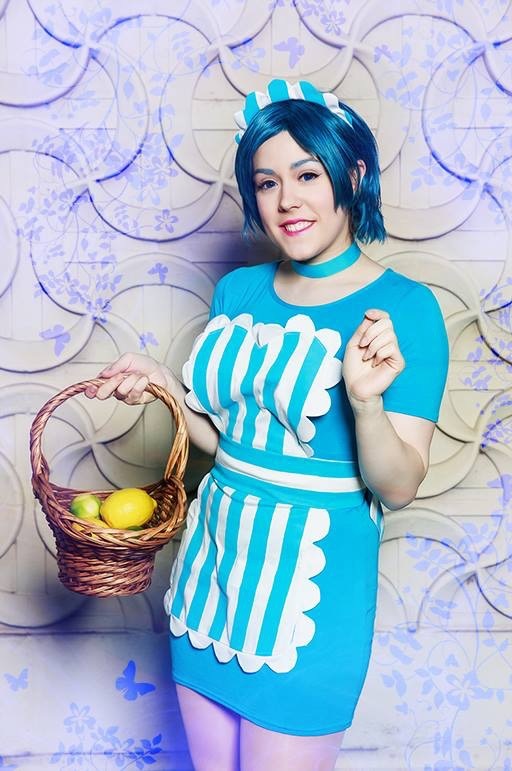 The apron and headband are made from cotton sateen. 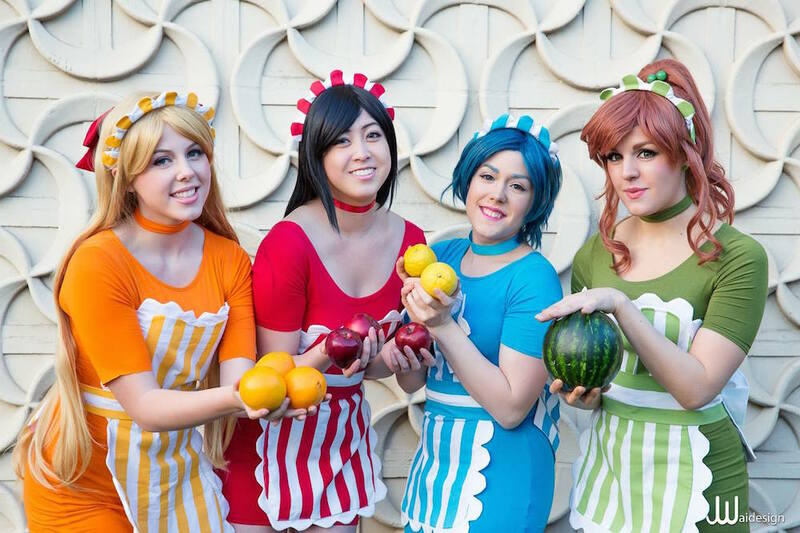 I used the same pattern I created to make my Fruit Maid Jupiter costume. The stripes are painted with an acrylic paint, matched to the dress, mixed with fabric medium. The scallop trim was added after painting. The bow is attached to the the apron sash which snaps closed in the back. 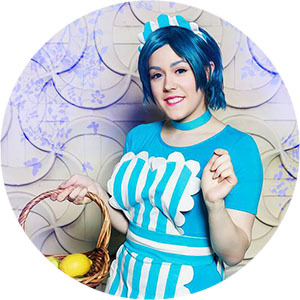 Photos by Saffels Photography and JwaiDesign Photography, ALA 2015. Also featuring Courtoon as Venus, Chinasaur as Mars, and Mango Sirene as Jupiter.